All of my heating and hot water is provided either by solar power (the solar hot water system in summer) or my wood burning stove. I have a clean-burning wood stove which emits very little in the way of the particulates which form smoke. 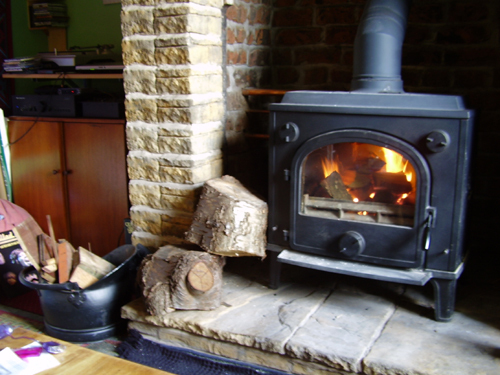 If you live in a smoke control area and you want to install a wood burning stove, you need to choose a model which has been exempted by DEFRA from the Clean Air Act for burning wood in a smokeless zone. A list of exempt appliances can be found at the UK Smoke Control Areas website. 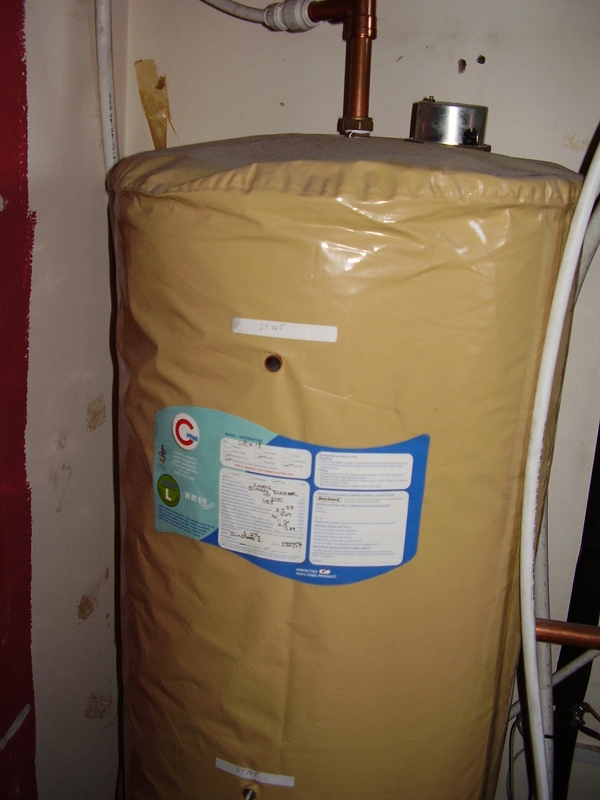 To ensure the most efficient use of heat, it is very important to insulate your home as much as possible. Unfortunately, Green Cottage is a solid walled property and so I have not been able to install cavity wall insulation. However, I have installed 270mm of loft insulation under an energy supplier scheme. There are many subsidised insulation schemes on the market, the best way to find the one which is the cheapest in your area is to call the Energy Saving Trust on 0800 512 012. I missed your talk and have been mulling over stoves for about 18 months. Whether to get one with a back boiler (Dunsley Yorkshire) or more recently simply plump for a wood burning stove in one room and then as one person said open the doors to heat the house! I’d love to come and see your boiler and speak to you about opening up chimney breasts, hearths etc. I work from Whitefield in and around Bury so it’s no problem to get to. Love to hear from you. Please feel free to drop me a line and we can exchange numbers. Thanks for getting in touch, yes it’s a bit of a wrangle over what to go for in a stove isn’t it! 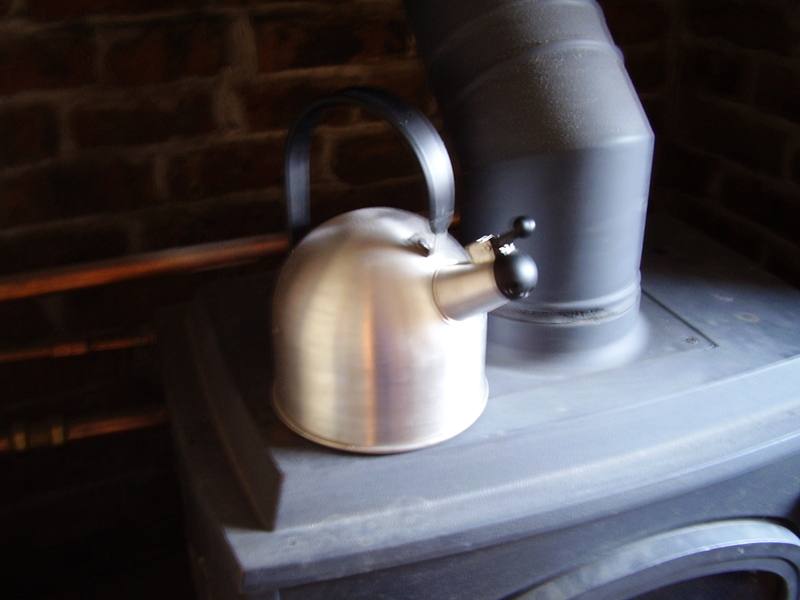 As you say, the Yorkshire stove is the only one with a back boiler which is clean air act exempt. – we go through a LOT of logs, probably about 2 tonnes per month when it’s cold. – the stove cost about £1400 and the cylinder, installation and connection to existing radiators etc cost me £2300, which was cheap really, it could easily have cost even more than that. But of course if you have a room thermostat, the more you use your wood stove, the less work your gas boiler will have to do, and I have heard of people saving two thirds of their gas bill by using a simple room heater wood stove. Anyway, you are welcome to pop round sometime to have a look and a cuppa! Thanks for the link, and yes it is a very interesting subject. As the article makes clear, the key is where the wood is coming from, and I agree that growing trees specifically for wood fuel is probably not particularly environmentally friendly or sustainable. In an urban environment, there is a lot of waste wood which arises naturally from tree operations by tree surgeons and local authorities. This waste wood would go into landfill if it were not used as wood fuel, where decay would produce methane which is a far more potent greenhouse gas than carbon dioxide. Where waste wood is burned as fuel, the carbon cycle is near neutral apart from emissions associated with transport. Unlike wood pellet and wood chip, logs can simply be air dried under cover, requiring no energy input. There are now large wood burning power stations being built, using a mixture of waste wood from the building trade and virgin timber, from as far away as Canada where the tar sands development requires the clear-felling of huge swathes of boreal forest. Obviously wood fuel from these kinds of sources is not sustainable. At the moment I’m exploring the possibility of producing charcoal for use in my multifuel stove, from rhododendron at my woodland, which is invasive and needs to be cleared as part of that ecosystem restoration project. Fingers crossed, if it works it might provide a workable model for rhododendron control.